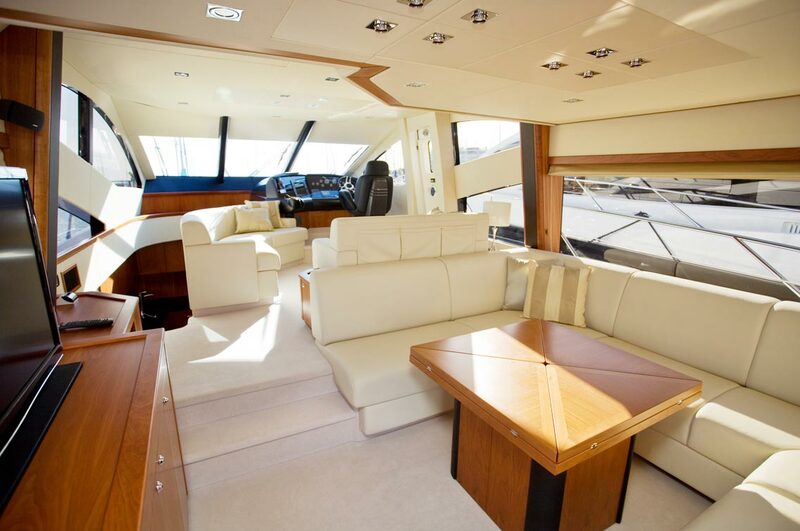 Perhaps your first charter trip is in sight and the crew, consisting of family, friends, acquaintances or work colleagues have gotten together and the ship has been booked. But what comes next? A charter trip is not a package holiday. There are several points concerning preparation, which must be remembered and observed, so that your charter dream does not become a charter nightmare. Here are some check points and tips to help you succeed on your dream vacation. Is there a transfer included from the train station / airport? When arriving the night before: Where to stay? When will the check-in procedure take place? How much will the deposit cost? Is there a possibility of card payment? Which maps/charts are on board, and are there any further area information available? Any further supplies included on board, such as: towels or bed linen? Is there a supermarket nearby? Is there a delivery service? How long until the ship has to be back? When is the check-out? Can the last night be spent on board? Usually, the ship must be in the home port on Friday evening, the final check-out usually falls on a Saturday morning. Check the current weather. Is there another route recommendation due to the current weather situation? Who is the person of contact in case of problems with the ship? Exchange mobile phone numbers. If there is certain route recommendation, please inform the charter company as well. Insist on having a thorough briefing of the ship during the daytime. Don’t carry out the acquisition when it’s dark out! Insist on having a joint viewing of the vessel; ask about any existing damage and have it recorded in writing. Bring another member of your crew with you during the vessel commission and leave the other crew members ashore! There is always a checklist for the commissioning process. However, you should still draft up a separate list, with all of the relevant points that are important to you. Begin below deck and work your way systematically upwards. Below are some suggestions of what you can include on your list. Lift up the floorboards and check where the bilge pumps are situated. 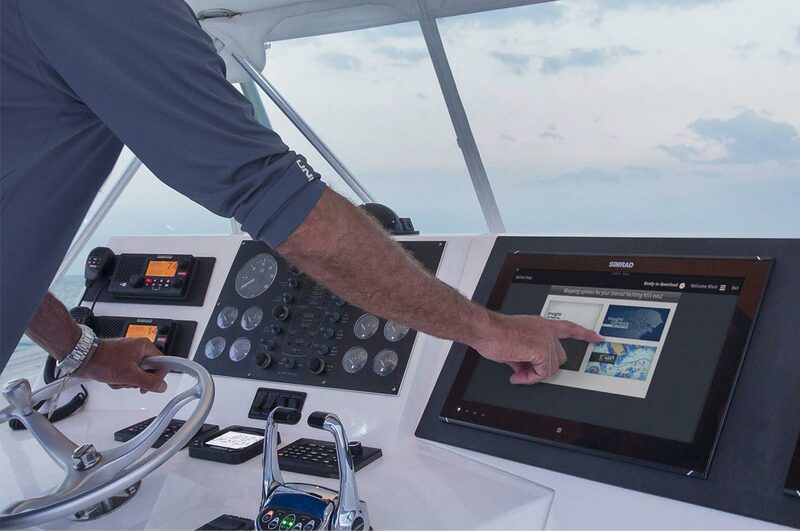 Where is the control panel, which features does it offer? Check the windows, doors and berths. Test all of the instruments and the radio. Ask for an explanation if something is unclear. Are there manuals on board? What do the symbols on the control panel mean? Are there seacharts, harbor handbooks, pilot guides, barometer, tide tables and updated atlases available for use? 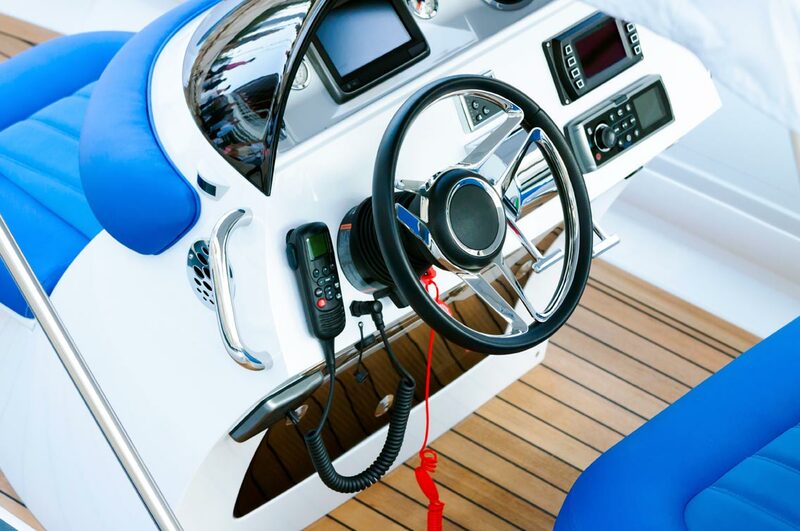 Examine the boat slip, charter approval, radio licenses and crew lists. Check the charge status of the starter and supply batteries. Does the shore power connection function properly? Is there an extension cord? Where's the circuit breaker? How do the toilets work? Check the pressured water system, showers and drainage system. Has the waste tank been emptied? How can it be cleared? Check the level of the water tank. Is there a disinfectant solution already in the water tank? Check if all of the burners and the oven are working properly. Check if there is a gas lighter on board. How is the gas cylinder filled? Is there a gas detector installed? Check the operation of the refrigerator. 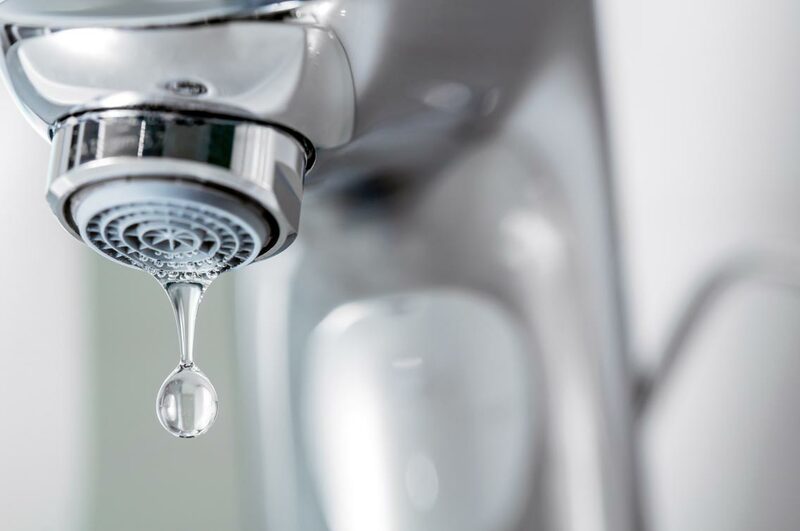 Check the sink, water pressure system and their outflows. Are the main kitchen utensils available? Be sure to start the engine for a test run. Is the cooling water discharge sufficient? Are all of the instruments and the fuel gauge working? Check the level of the fuel tank. Check the status and level of the engine oil. Visually inspect the engine: is the V-belt functioning properly? How much fuel does the engine use? How far can the ship travel on one tank of fuel? Is the type and weight of the correct for the model of boat? 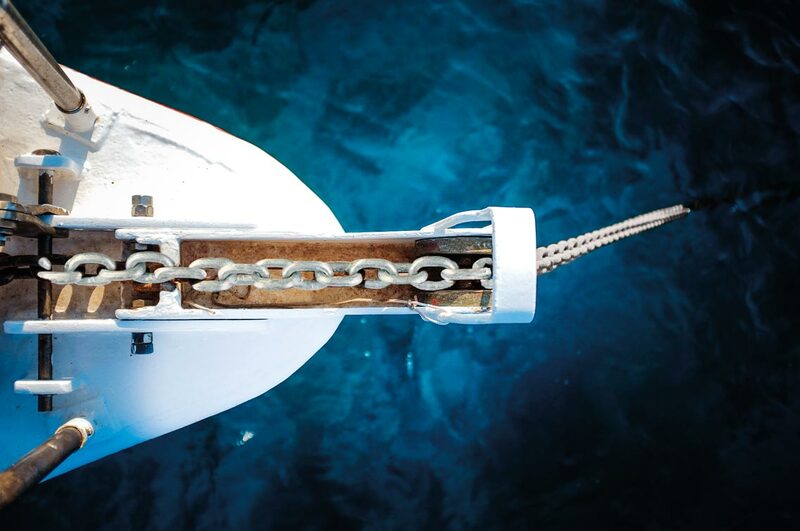 What is the chain length (including the spare anchor)? Is its end secured? Examine if the windlass is working correctly. Are there a buoy and an anchor ball on board? Inflate the dinghy. Is it completely airtight? Make sure you check the pump and the rudder for any damage. Is there a repair kit available? Run a short test run (not a run dry!). Check the level of the fuel tank. 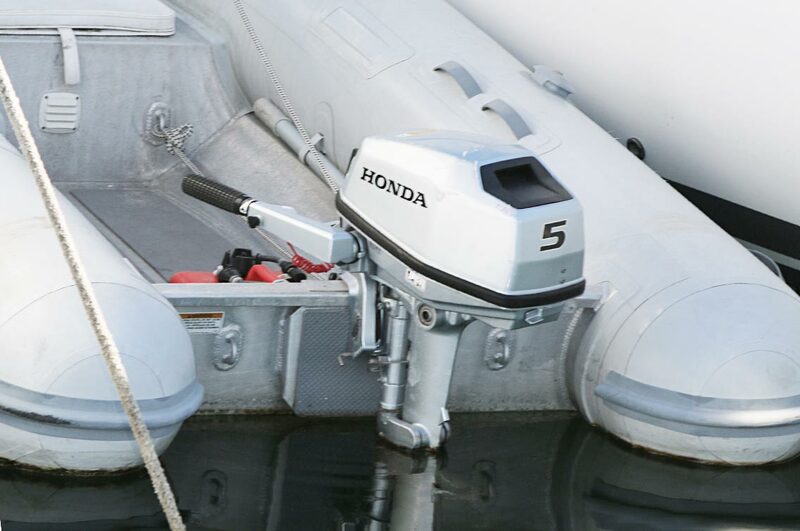 Are spare spark plugs and spark plug sockets on board? Is there spare fuel on board? 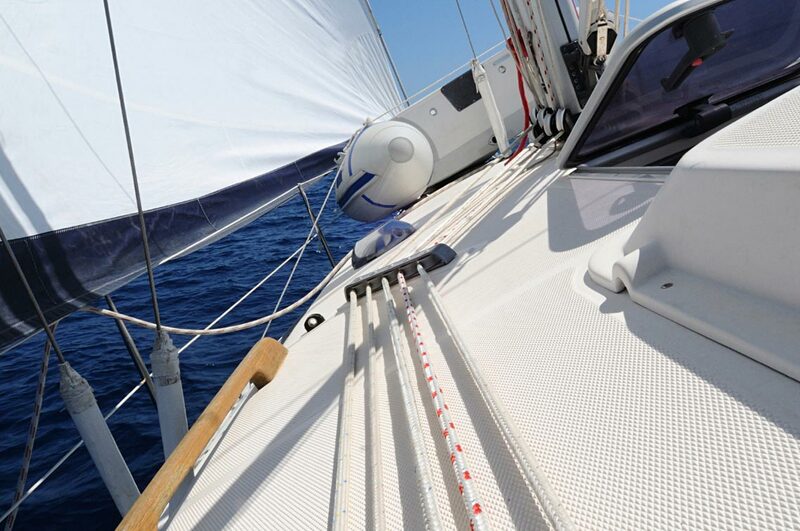 Check the mast curve and the tension of the backstay. 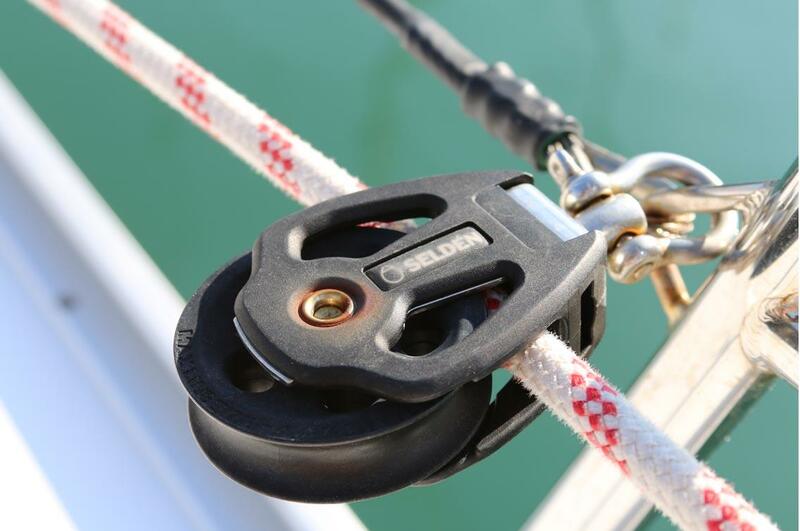 What is the state of the standing rigging? Hoist the sails. What condition are the sails in (any cracks, holes, or brokenseams!)? Are all needed sheet ropes on board? Are the ropes in sufficiently good condition? Are there spare lines on board? Are all fittings securely mounted and functional? Do the winches turn easily and smoothly? Are the blocks all functional and fixed? Where are the life vests located? How many are on board? Are the vests automatic? Visually inspect all of the vests. Where is the life raft located? Visually inspect the life raft. Howis it triggered? What other safety equipment is on board (MOB system, flares, emergency lights, etc.) Take the opportunity to familiarize the entire crew with all of the harnessesandsafety lines on board. And remember: If no one goes overboard, you won’t have to save anyone! For personal safety, anyone with their own automatic vest should bring it along with them on the trip. 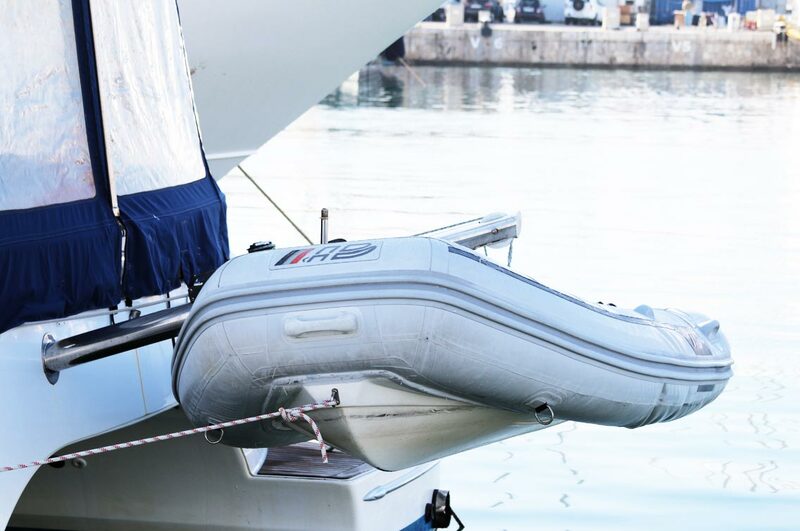 Automatic life jackets are rarely found on board of regular charter vessels. Apersonal life jacket and lifeline should be the first purchases made by any member of the crew. Be sure to select a model with an integrated harness and crotch strap. Wearing jewelry of any kind on deck (rings, necklaces, bracelets, watches, etc.) should be avoided, due to the risk of getting them caught on something. 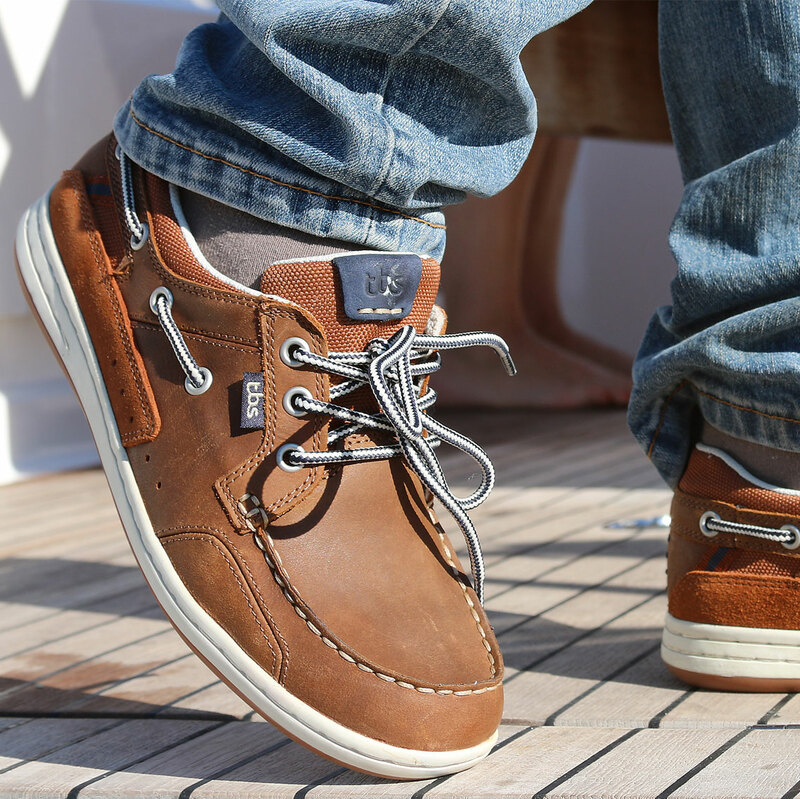 In addition, only closedfootwear should be worn on deck. Being barefoot on board is very pleasant, but also very dangerous! Before commencing the charter, it is important to appoint a replacement skipper. They should either be chosen by the skipper, or alternatively by the crew. The secondary skipperwillonly be called to this role if the primary skipper becomes ill or an emergency situation arises whereby the skipper cannot complete his duties. On charter boats, it is common to designate an amount of on board cash before departing. In this, each member of the charter crew contribute an equal amount. The on board cash isusedto pay for any costs which may arise during the journey. These funds are intended to primarily cover: port charges, fuel and any repairs. Food and drinks are often deducted fromthisamount as well. In any case, it is important in any case, that the whole crew agrees in advance on what the on board cash will ultimately go towards. This prevents any argumentsfrombreaking out after the trip! 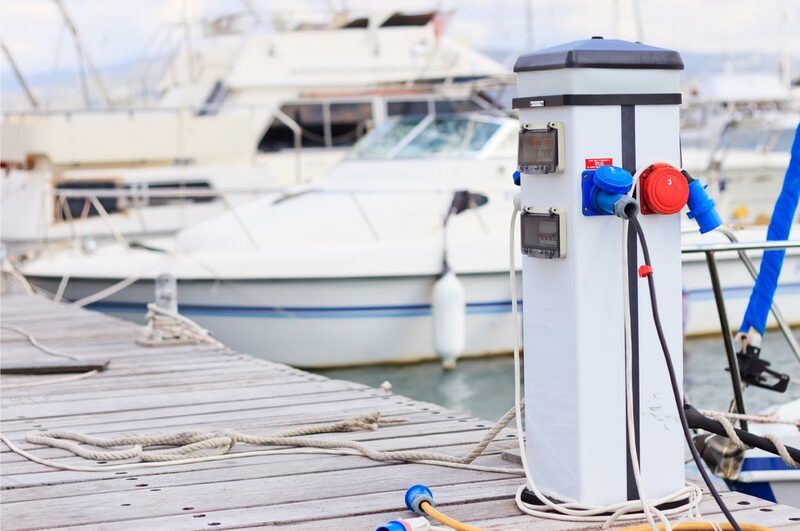 The question of just how much on board cash you should have is difficult to answer because it is entirely dependent on the area you are traveling inandyour personal needs and requirements. However, it is usually better to have a little more than not enough. Thus, an amount of €400 per each crewmember for each week of the trip isagood rule of thumb. The remaining amount that is left over at the end of the trip is to be divided back out between the crewmembers. The on board cash is managed by a crewmember -often by the replacement skipper. The person in charge of the funds should keep a detailed log, in which the deposits and expenditures are to be recorded. There are currentlyseveralsmartphone applications available, which can provide a detailed financial overview of your trip expenses and money management. Tour of the ship: assign cabins! Show and explain: toilets, storage rooms, pantry, windows, doors, hatches, etc. Start the engine and tell everybody how to stop it as well! Practice stopping procedures. For this purpose: ride straight in calm water, at a low speed. How fast can the vessel stop? What can be adjusted to improve this? Where is the life-saving equipment located? When must this equipment be used? How is it to be handled? Explain the proper handling of the lifesaving equipment on board. MOB maneuver: Discuss this maneuver with all crewmembers. Practice various scenarios and situations. What to do in case of a fire? What to do in case of a fire in the engine room? How does the emergency shutdown of the gas system? A charter holiday differs in many ways from a traditional holiday. This applies to the luggage which you wish to bring aboard as well. First of all, suitcases do not belong aboard a ship! Suitcases are bulky and therefore difficult to store safely. Thus, they can become dangerous "missiles" in harsh weatherconditions. In any case, it’s much better to pack your belongings in bags or duffel bags. These are easy to stow away and do not pose a danger in poor weather conditions. It is important that the shoes are closed with a light, non-slip and non-marking sole. Because the shoes often get wet, a second pair should also be brought along. For the beach,butalso for using the washroom facilities and showers of ports, a pair of sandals or slippers should also be brought along. The clothing brought along will be determined almost entirely by the area in which your intended charter trip will take place in. Many charter trips take place in southern climates.Usually a lightweight, breathable and waterproof sailing jacket, combined with a pair of breathable and waterproof trousers will be sufficient here. Boots aren’t usually necessarybecause bad weather is normally rare and if it occurs it’s normally only for a short time. The situation is different if you are traveling in northern areas. 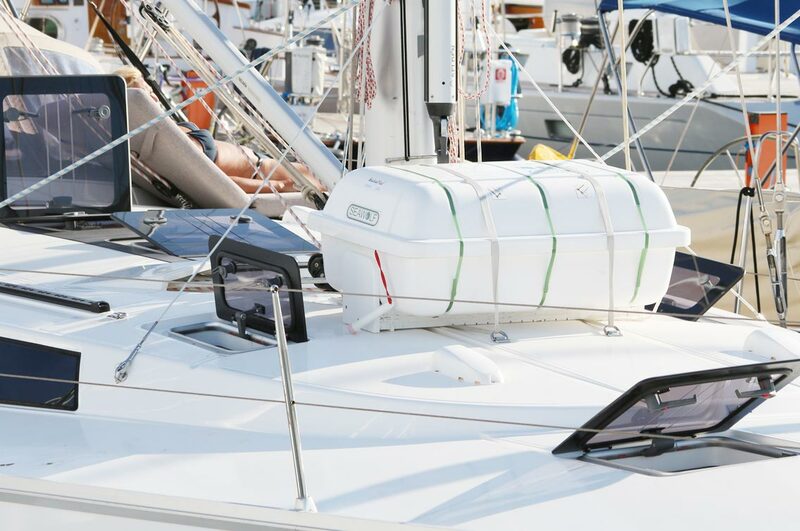 If you decide to travel on the Baltic Sea, the North Sea or on the Ijsselmeer in the summer, only weatherproofsailingclothing and warm undergarments are mandatory. For cruising, oilskins are usually necessary to bring along in any case. These are often called "Coastal” or "Offshore" sailingclothes.As a warm middle layer, fleece is the best, as supports the breathability of functional clothing. Make sure not to wear cotton or wool under oilskins. Wool absorbs water andthereforedestroys any breathability. This results in a clammy, wet feeling under the oilskin. Sailing boots and warm functional socks are also a must here! In northern areas, almost the same applies. However, the number of T-shirts, shorts and swimwear is generally decreased by half and the number of long-sleeved shirts, long pants isdoubled. The thin sweater is also replaced by two warmer ones. 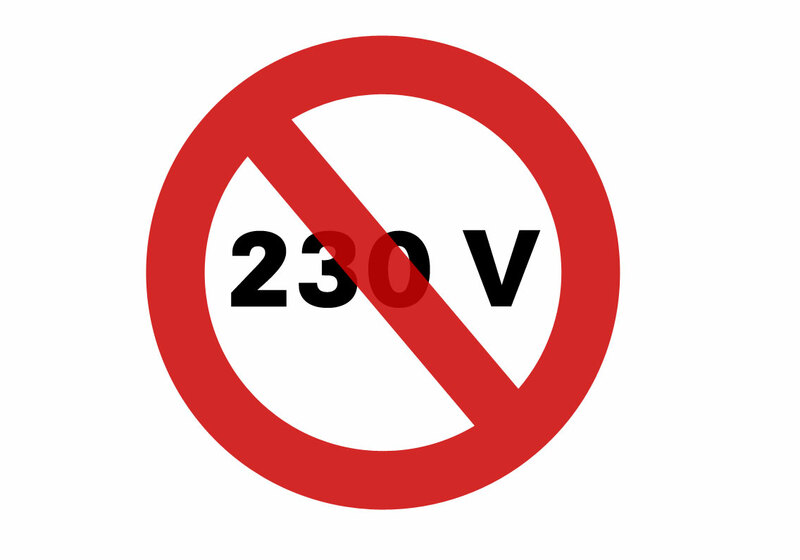 Since charter yachts rarely have inverters and power is precious on board, you should leave all 230 V powered equipment at home. This is particularly true for hair dryers and mobilephone chargers. Mobile phones can be directly charged via the electrical system. Corresponding adapters, such as USB charging cables are provided by specialized retailers. 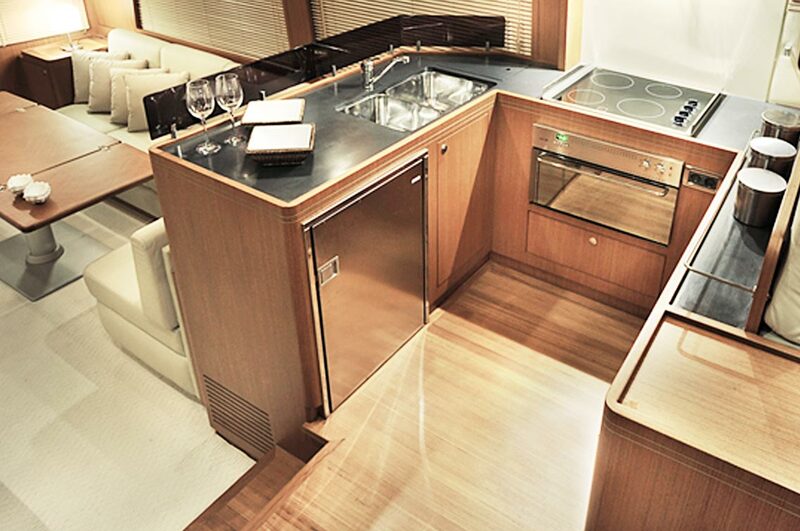 On charter yachts, the galley is usually equipped with all of the necessary utensils and crockery for preparing simple meals. However, there is often a lack of tea towels,dishwashingliquid, wipes and sponges. Just get the crewmembers to bring these items along. The same applies to: spices, vinegar, oil, etc. Bring these along from home as well, in order tosavesome money. If you prepare food on board, you will need to use water from the tanks. Make sure that the water is treated with a disinfectant beforehand. Bring disinfectant with you as wellbecauseit may be difficult to obtain in many areas of travel. Guide books, nautical charts, handbooks and area guides are also very useful to bring along as well.